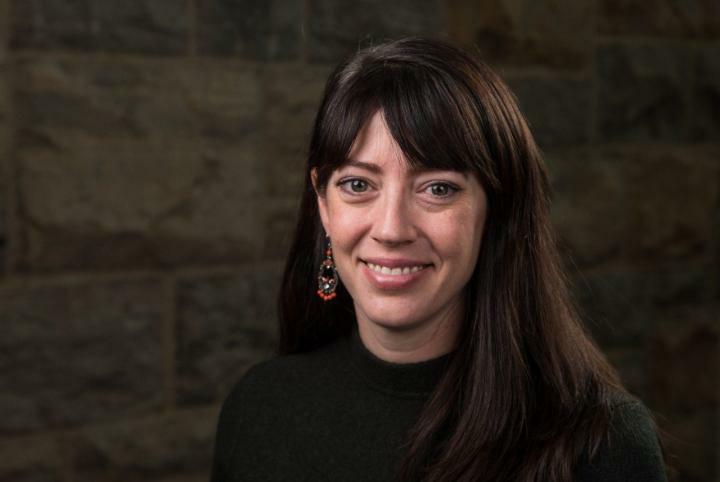 Virginia Tech College of Science Assistant Professor Michelle Stocker is using a National Science Foundation grant to map the repeated evolution of similar head shapes among animals that use their head to dig into the ground. During the multi-university study, Stocker and her team will examine what developmental and biomechanical properties led to a repeated evolution of body shape designed for burrowing. Stocker is part of the Department of Geosciences and is a member of Virginia Tech Global Change Center, part of the university's Life Science Institute. "The main goal of the project is to examine how and why we get the repeated evolution of similar head shapes in very distantly related animals from more than 400 million years ago to today," Stocker said. "How and why convergence of body shape occurs is a fundamental evolutionary puzzle. We're looking at how anatomy, development, relationships and ancestry, and biomechanics interplay to result in these shapes." The $77,000 project examines the anatomical, biomechanical, developmental, and natural selection pressures that have driven the evolution of limblessness and head-first burrowing in scores of animals across hundreds of different species. Among the animals to be studied will be lizards, snakes, and caecilians that are alive, as well as fossils of extinct animals called microsaurs that have a similar shape. Stocker will use three-dimensional images from CT scans as well as bone material properties to study the anatomy and biomechanics of the skulls of these animals. "Some species we'll include have not had their skeletal morphology documented fully because the skeletons of living animals aren't always examined when we have the ability to look at their color and the number of scales and types of teeth they have," Stocker said. Stocker said the final goal of the project really is to test predictions of ecomorphology — this animal looks like X so it must have done Y, without actually seeing it do any such thing — by quantifying the shapes. "We'll take the relationships we determine among form, function, and evolutionary constraints in living species and apply them to selected extinct, possibly head-first burrowing, species to test prior predictions of head-first burrowing made for those taxa across deep time," she added. Working with Stocker will be researchers at State University of New York at Oswego and Carleton University in Ottawa, Canada. Graduate and undergraduate student researchers from Virginia Tech also will be brought into the project with Stocker seeking help from those in geosciences, biological sciences, and computational modeling and data analytics, among other areas.